“Allegations of misconduct that are more than 20 years old have no relevance to the (necessarily future) ‘protection of the public’ from an 81-year-old unsighted man,” wrote defense lawyer Joseph Green Jr. in a court filing on Monday. Though many of the accusations against Cosby happened too long ago to prosecute, Cosby is being sentenced for assaulting Andrea Constand, of which he was found guilty in April. 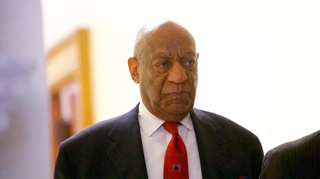 Gloria Allred, who represented three of the women who testified against Cosby in the spring, told Radar Online that she was “not surprised” that the defense is opposing testimony, saying Cosby’s legal team also tried to thwart accusers from speaking at the trial.